Sample any or all of the Estate produced rosé style wines, which includes the Protea Rosé 2018, L’Ormarins Brut Rosé 2015, L’Ormarins Brut Classique Rosé NV and the Jean Roi Cap Provincial Rosé 2017. These perfect summer drinks can be enjoyed on their own, or served with a romantic Valentine’s meal. The Jean Roi Cap Provincial Rosé partners perfectly with a delicious summer nectarine Caprese salad; grilled prawns and crayfish; or seared duck breast served with a raspberry jus. Alternatively end a memorable dinner with a glass of the Brut Classique Rosé NV served with a homemade strawberry tart. 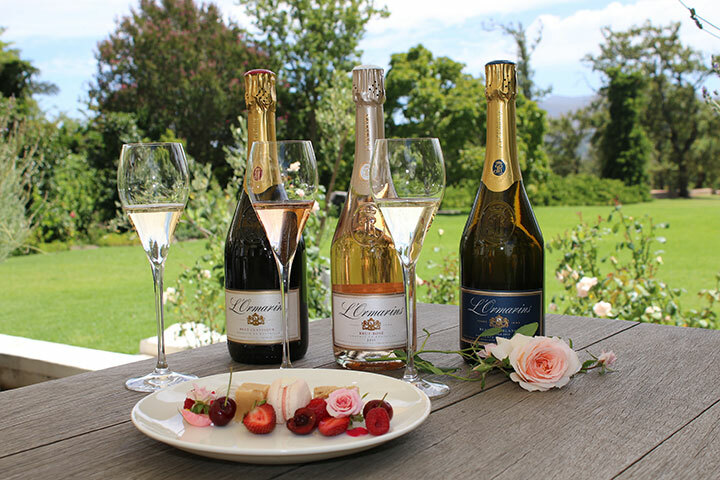 A uniquely romantic outing to the Estate can also be crowned with a bespoke MCC & Sweet Treat Pairing, at R95 per person. This ‘deliciously sweet’ pairing includes a tasting of three MCC’s in the L’Ormarins range, served with four sweet treats. The treats include strawberry macarons, citrus and Dulce fudge, a raspberry blondie, and a cherry and white chocolate truffle served with fresh cherries and raspberries. The pairing will be available from Monday to Saturday at the Anthonij Rupert Tasting Room, and pre-booking is essential. To book, email [email protected] or contact 021 874 9041.